In preparation for Halloween, the harvest and sale of pumpkins is in full swing. As far as fresh produce goes, pumpkins are large and bulky, so need heavy duty boxes for packaging. You’ll spot them loaded into cardboard display boxes in your local supermarket. In preparation for Halloween, the harvest and sale of pumpkins is in full swing. As far as fresh produce goes, pumpkins are large and bulky, so need heavy duty boxes for packaging. You’ll spot them loaded into cardboard display boxes in your local supermarket, but we’ve spotted a record breaker that would struggle to fit into any box. Ian and Stuart Paton are horticultural brothers, who run a flower nursery in the New Forest. As a sideline, they grow award-winning pumpkins and this year was no exception. The pair beat their previous best, to break the UK record at the Jubilee Sailing Pumpkin Festival in Southampton this October. Their colossal pumpkin weighed 174 stone, which is unbelievably still 13 stone short of the World Record holder. Whilst the majority of pumpkins are transported in large heavy duty corrugated cardboard boxes, specialist lifting and transporting equipment was needed to get this pumpkin to the event. It is now heading for a special harvest display in New Covent Garden Market. Covent Garden’s Fruit and Veg market was officially opened in 1670, when King Charles II gave consent for it to operate on every day except Sundays and Christmas Day. By 1975, it had outgrown the original site and the New Covent Garden Market was opened in Nine Elms by The Queen. Every morning it is stocked with box after box of fresh produce, direct from UK and international growers. As a thriving wholesale market, it attracts daily visitors who stock up on supplies for their restaurants, hotels, greengrocer or florist shops and market stalls. If you rise early, you may see vans being loaded with boxes full of seasonal delights. Corrugated cardboard boxes provide the ideal means of packing and protecting the vast quantities of fruit and veg. Be it pumpkins, pears, pineapples or fresh peas robust, cardboard produce boxes are a practical packaging option. They are sufficiently robust to make it possible to stack the produce in great volumes, without the risk of bruising the daily harvest. The insulating properties of corrugated cardboard packaging also help to regulate the temperature within the box. This helps to keep the goods in ripe and ready condition. Another benefit of transporting consumables in corrugated cardboard boxes is a reduced risk of spoiling. Research carried out in the University of Bologna has shown that cardboard fibres entrap microorganisms. They prevent them from coming into direct contact with the fruit and vegetables and as a result, the produce stays fresher than when plastic packaging is used. Finally, when all of the produce has been sold and the box is empty, it can be flattened, recycled and made into cardboard boxes for another day. 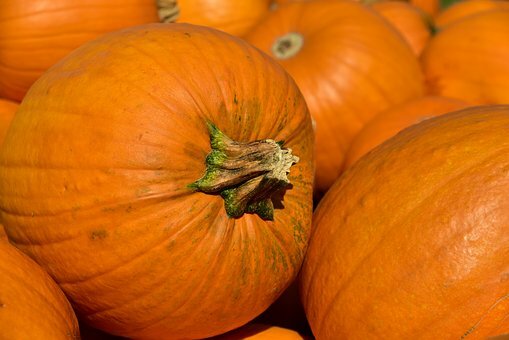 Whilst a record-breaking pumpkin may be too heavy for your typical produce box, they are suitable for the majority of fruit and veg. If you are preparing to sell your produce at market or prepare and delivery fruit and veg boxes, contact Aylesbury Box Company for a competitive quote. We can supply standard dimensions, however, as a cardboard box manufacturer, you can request a bespoke design. From slender postal boxes that can deliver flowers through your letterbox, to giant boxes for transporting your prize winning veg, we offer the packaging solution.